I have no idea how hard-boiled eggs and bunnies came to be synonymous with Easter Sunday—but they did. And so has Easter brunch and dinner. Want my Easter-eating recommendation? Frankly, I’d be fine staying at home and cooking a ham from Idaho’s Snake River Farms (SnakeRiverFarms.com); their all-natural Kurobuta Berkshire ham is hands-down the best I’ve ever eaten. But maybe you’d like to abandon the kitchen on Easter after boiling all those eggs. If so, there’s an abundance of Easter dining options at our local restaurants. Here are the ones I have information on. Advance reservations are strongly suggested. Bambara’s Easter Brunch (202 S. Main, Salt Lake City, BambaraSLC.com) from 10 a.m. to 3 p.m. features fresh-baked goods, a buffet with a wide assortment of options, from brioche French toast to truffled mac & cheese, a carving station with mustard-glazed ham and organic turkey, traditional breakfast items like eggs Benedict and much, much more. Adults are $38, children are $18, seniors are $28 and children 5 and under are free. For reservations, call 801-363-5454. Easter brunch at the Gathering Place at Gardner Village (1100 W. 7800 South, West Jordan, 801-566-0917, GardnerVillage.com) includes shrimp cocktails, custom-made omelets and crepes, desserts, breakfast and lunch items, and a Belgian chocolate fountain. Adults are $19.95, children ages 3 to 11 are $10.95. No reservations are accepted. Grand America (555 S. Main, Salt Lake City, GrandAmerica.com) always does Easter in a grand way, and this year is no exception. 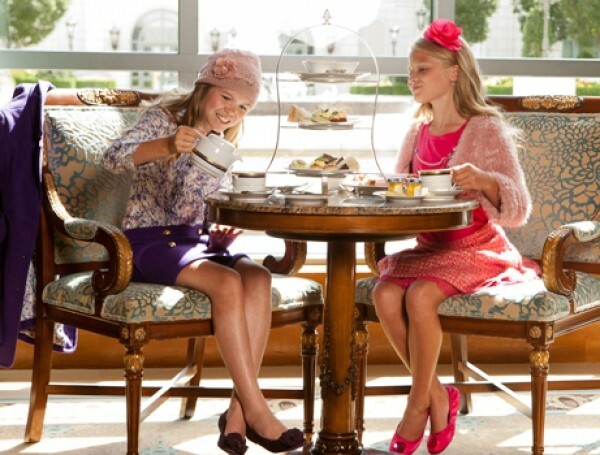 There is afternoon tea in the Lobby Lounge on Saturday, April 7, where the Easter Bunny will make a special appearance. Then on Sunday, the Grand Easter Brunch (9 a.m. to 2:30 p.m.) will feature traditional brunch favorites plus fresh seafood and sushi, roasts, salads, pastas, carving stations and award-winning pastries and desserts. Brunch is $55 for adults, and $27.50 for children ages 5 to 12. For reservations, call 801-258-6807. At Thanksgiving Point, Harvest Restaurant (3003 N. Thanksgiving Way, Lehi, ThanksgivingPoint.com) kicks off the Easter weekend with brunch on Saturday, April 7, from 10 a.m. to 2 p.m. Menu items include artisan breads and pastries, salads, imported and domestic cheeses, iced Gulf shrimp, hot breakfast dishes, hand-carved meats and housemade desserts. Adults are $28.95, children under 11 are $14.95. Call 801-768-4990 for reservations. Faustina (454 E. 300 South, Salt Lake City, FaustinaSLC.com) restaurant will offer Easter brunch and dinner (9 a.m. to 3 p.m.; 4:30 to 9 p.m.) with a specialty beverage menu featuring “table mimosas.” Highlights include Brie-stuffed brioche French toast; Faustina Benedict with polenta, local Italian sausage, grilled tomato, poached eggs and hollandaise sauce; cinnamon-swirl pancakes with cream-cheese glaze; and other brunch and dinner menu items priced Ã la carte. For reservations, call 801-746-4441. Fleming’s (20 S. 400 West, Salt Lake City, FlemingsSteakhouse.com) invites customers to celebrate Easter with a three-course brunch, featuring a choice of appetizer, entree (including filet mignon Benedict, Prime rib, New Orleans-style French toast and more) and a dessert. Adults are $34.95, children 12 and under are $16.95. For reservations, call 801-355-3704. At Franck’s (6263 S. Holladay Blvd., Salt Lake City, FrancksFood.com), Executive Chef Franck Peissel has designed a special four-course plated menu for brunch on Easter. Menu items include eggs Benedict with espresso-cured pork loin, smoked scallops, root-beer and Guinness-braised beef short ribs, toasted-coconut brioche French toast and more. Adults are $50, children 12 and under are $25. Call 801-274-6264 for reservations. Up in Eden, Harley & Buck’s (3900 N. Wolf Creek Drive, Eden, HarleyAndBucks.com) will serve Easter brunch from 10 a.m. to 2 p.m. with made-to-order omelets and Belgian waffles; a carving station featuring smoked Prime top sirloin, Black Forest Ham and Cajun fried turkey; quiches and frittatas; a seafood assortment including seared ahi tuna and jumbo Gulf shrimp; pastries and scones; salads; desserts; and a chocolate fountain. Adults are $21.99, children are $14.99. For reservations, call 801-745-2060. Here is something unique: On Saturday, April 7, from 1:30 p.m. to 3 p.m., you can have lunch with the Easter Bunny at Hogle Zoo (2600 E. Sunnyside Ave., Salt Lake City, HogleZoo.org). Lunch includes a sandwich buffet, crafts for the kids, an up-close animal presentation and photo opportunities with the Easter Bunny. Tickets range from $21 for zoo members to $26 for adult nonmembers. Call 801-584-1769 for reservations. Easter brunch at Little America Hotel (500 S. Main, Salt Lake City, SaltLake.LittleAmerica.com) from 10 a.m. to 2 p.m. will feature a bountiful buffet of traditional brunch favorites as well as Easter specialties, including a selection of freshly prepared salads, succulent roast leg of lamb, ham, Prime rib and, of course, decadent desserts. Adults are $42, children ages 5 to 10 are $21, and children 4 and under are free. Call 801-596-5700 for more information. Easter luncheon at Log Haven (6451 E. Millcreek Canyon Road, Salt Lake City, Log-Haven.com) from noon to 5 p.m. will include options such as roast leg of Morgan Valley lamb, pan-seared Utah steelhead trout, Angus New York steak, wild-mushroom risotto, fennel-brined organic chicken breast, and desserts like dark-chocolate peanut-butter silk and Slide Ridge Honey citrus creme brulee. Adults are $39.95, children under 12 are $21.95. For reservations, call 801-272-8255. At Oasis Cafe (151 S. 500 East, Salt Lake City, OasisCafeSLC.com), an Easter brunch buffet will be available from 9 a.m. to 3 p.m. Highlights include a wide array of salads, pastries and desserts; hot and cold entrees such as Prime rib, mustard-maple glazed salmon, a Mediterranean tasting platter, shrimp enchiladas, crab cakes with mango salsa, baked French toast casserole; a chocolate fountain and a lot more. Adults are $32, children 10 and under are $18. For reservations, call 801-322-0404. Snowbird Resort (9600 Little Cottonwood Canyon Road, Sandy, Snowbird.com) will offer an Easter sunrise service on Hidden Peak, a free Easter egg hunt for kids on the Chickadee run with a visit from the Easter Bunny, and Easter brunch at the newly remodeled Aerie restaurant at the Cliff Lodge from 11 a.m. to 3 p.m. Brunch items include an omelet station, eggs Benedict, sushi and sashimi, roast leg of lamb, pan-seared trout, grilled chicken, Double R Ranch skirt steak, thyme- and honey-rubbed ham, lots of salads and side dishes, desserts and kids selections like hamburger sliders, mac & cheese, chicken fingers and more. Adults are $36.95, children ages 6 to 12 are $18.95. For reservations, call 801-933-2181.